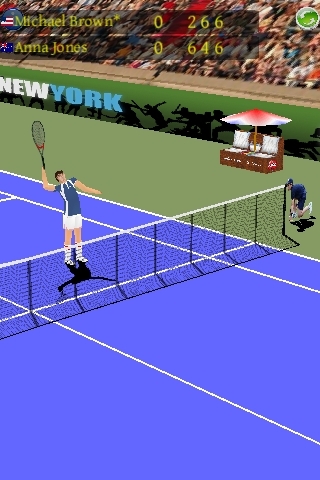 2009 Tennis is the fastest 3D action sports game available on any mobile platform. The new 3D Game Engine specifically designed for the iPhone produces fast, furious action at 60 frames per second. 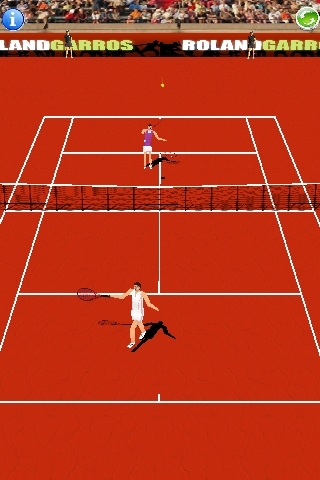 Smash your way into the finals, and attempt to claim all the Tennis Grand Slam titles. - 3D action with a dynamic camera. 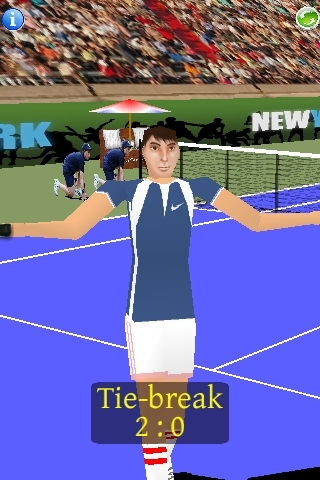 - 4 Grand Slam Arenas, with unique court surfaces and ball physics (clay, grass, acrylic and synthetic surfaces). - Over 30 AI players, each with unique playing styles and personalities. 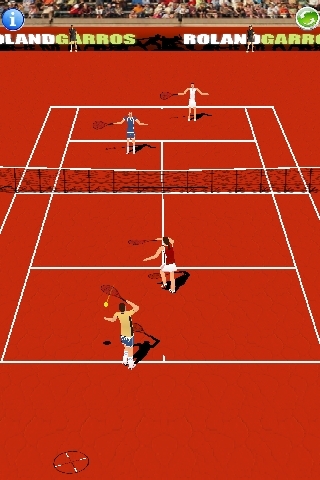 - Play 1-1 matches or double the fun and play Doubles matches. - A ranked Career mode. Can you collect all the trophies and become the Number #1 ranked player in the world? Hand held gaming has never been so much fun!! !